My favorite kind of chiles are chipotles because of their smokiness. 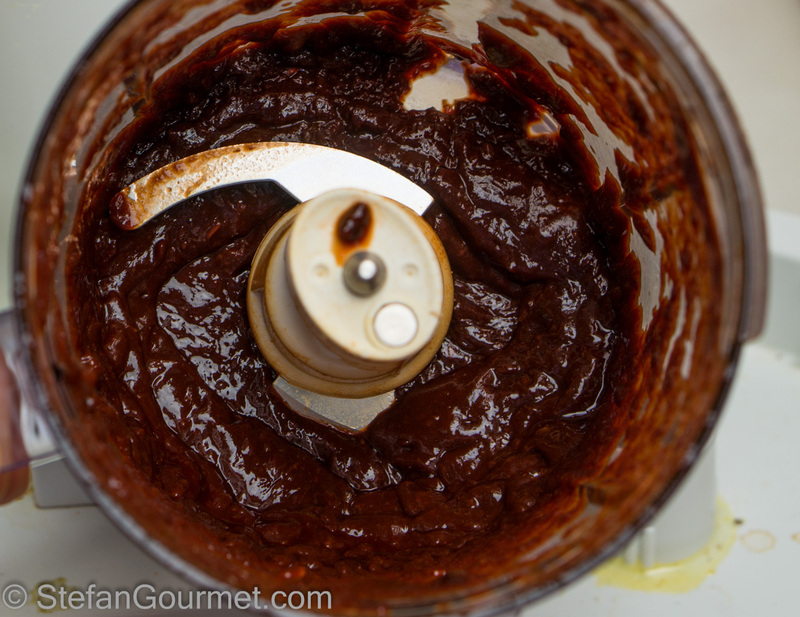 Chipotles in adobo sauce, a sauce made from tomatoes and ancho chiles, are a great condiment. I love them for instance with chicken, mushrooms and cream. 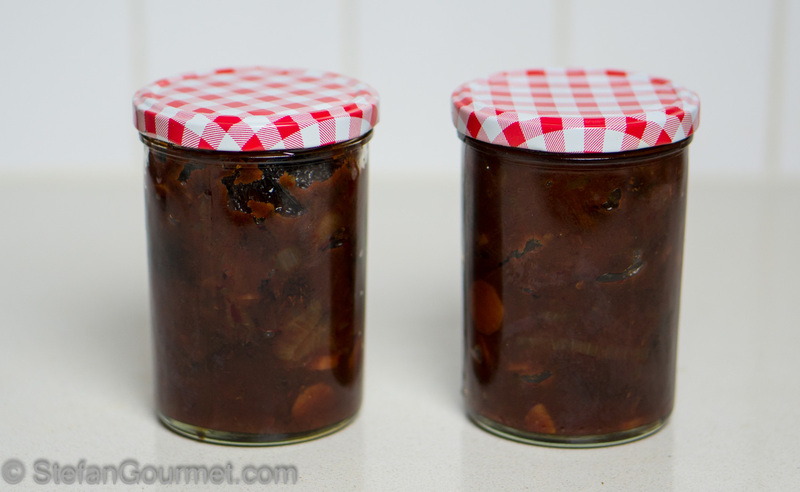 Chipotles in adobo sauce are available in cans, but since I like to make everything from scratch, I wanted to try making my own chipotles in adobo. I used a recipe by Pati’s Mexican table. It wasn’t hard at all, and the result was amazing. 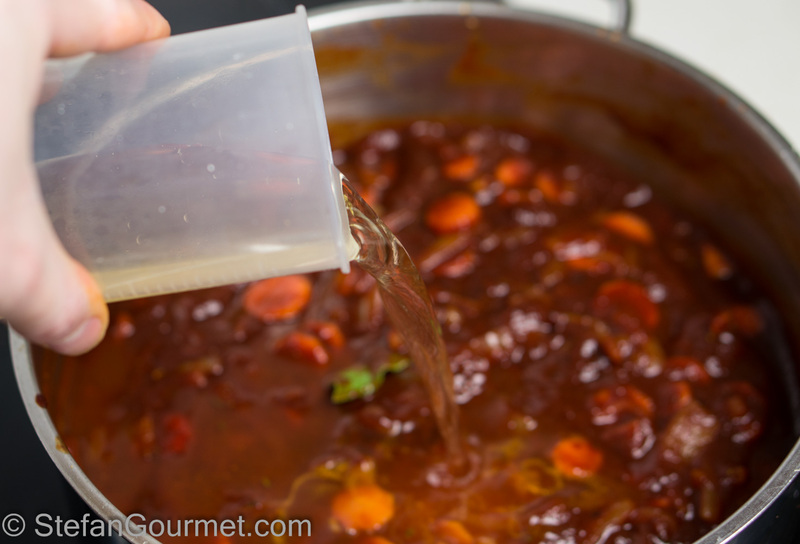 Chipotles in adobo from a can are great, but these homemade chipotles in adobo sauce have a more complex and well-rounded flavor. I will definitely make them again. I made a few adjustments, most importantly not using fresh tomatoes because they are out of season (and even if they were in season, tomatoes here are not that great). Here’s my version. 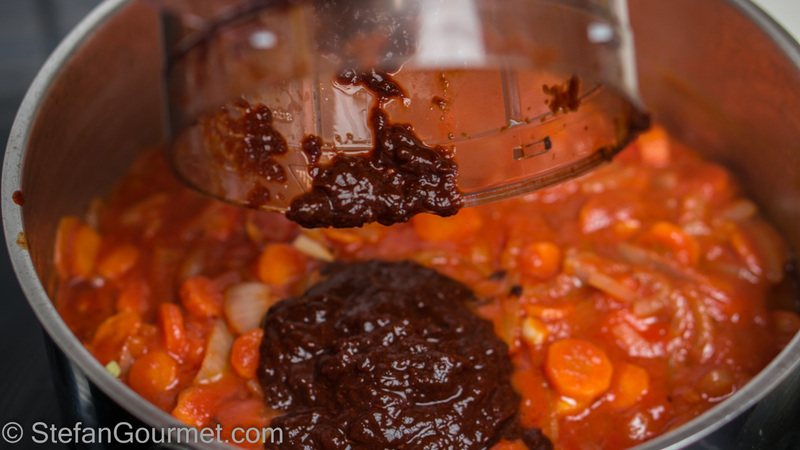 Rinse the chipotle chiles and the ancho chile and drain. 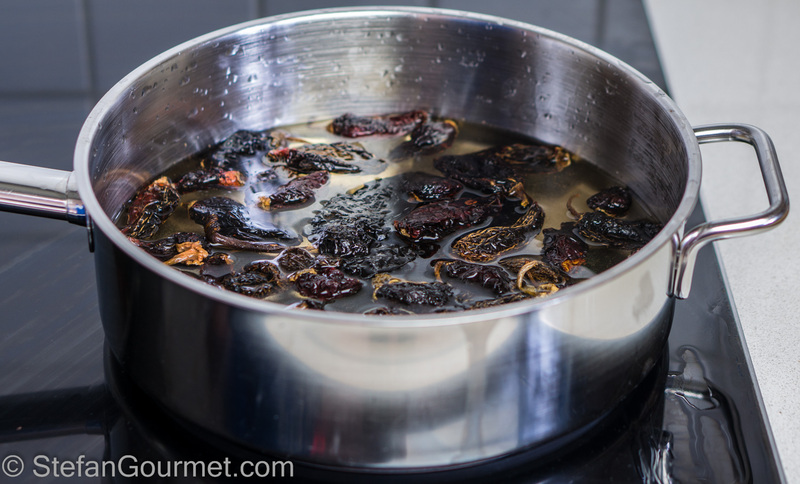 Put all the chiles in a wide pan and cover with water. 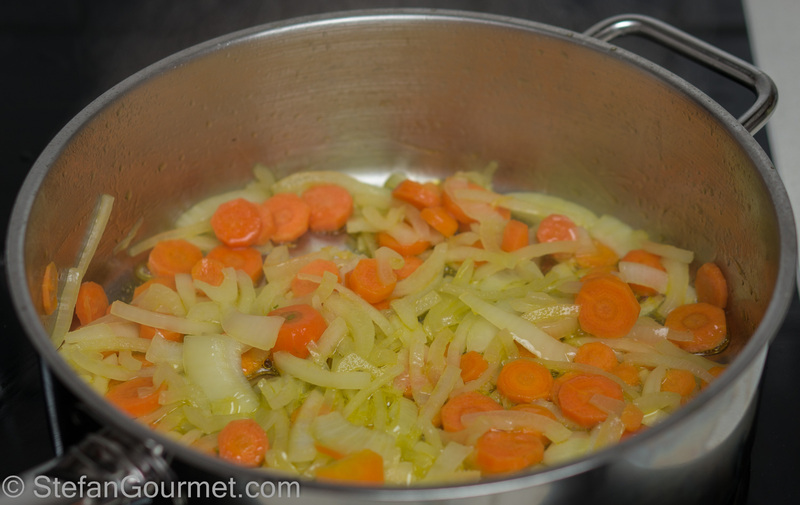 Bring to a boil, then lower the heat and boil for 15 minutes. 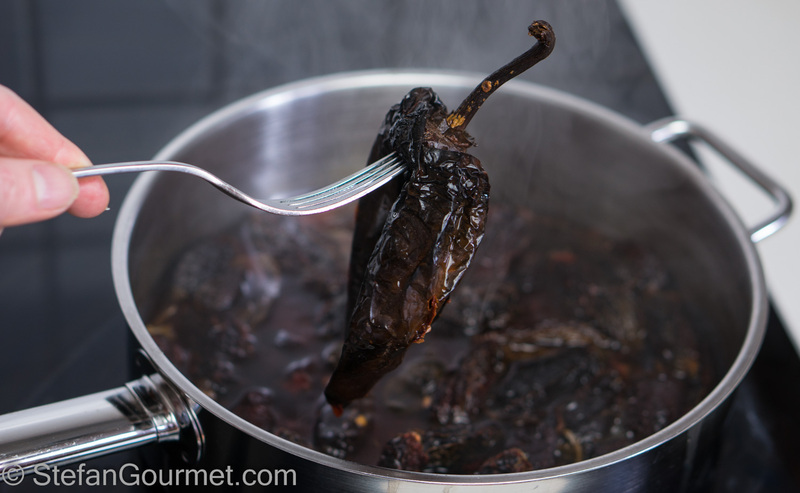 Turn off the heat and remove the ancho chile. 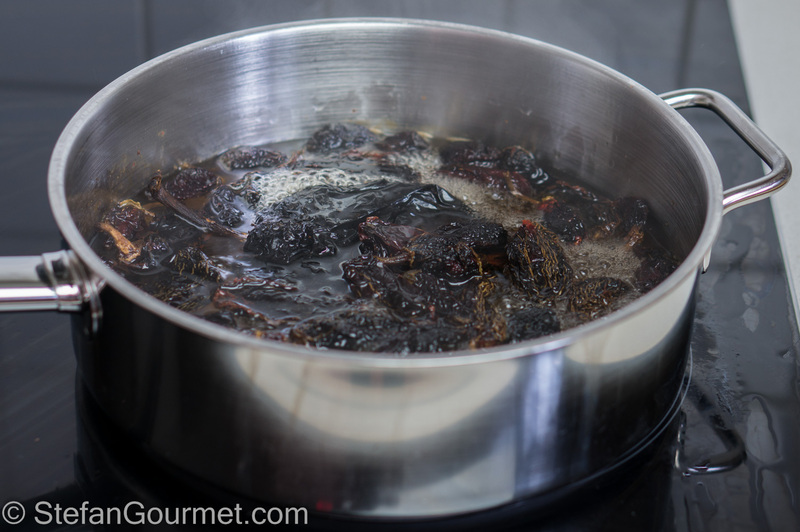 Allow the chipotle chiles to steep in the hot water. Stem and seed the ancho chile. 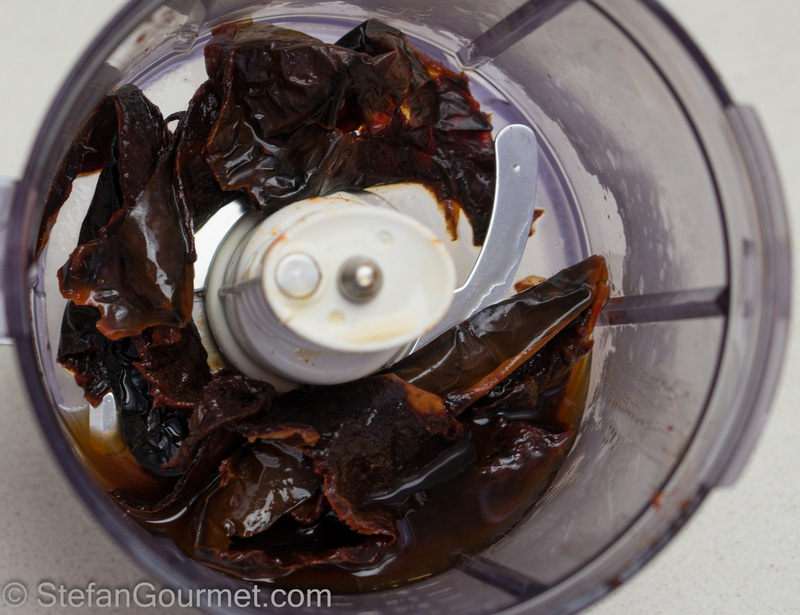 Put the ancho chile in a blender with some of the liquid that the chiles were cooked in. …to obtain a puree. 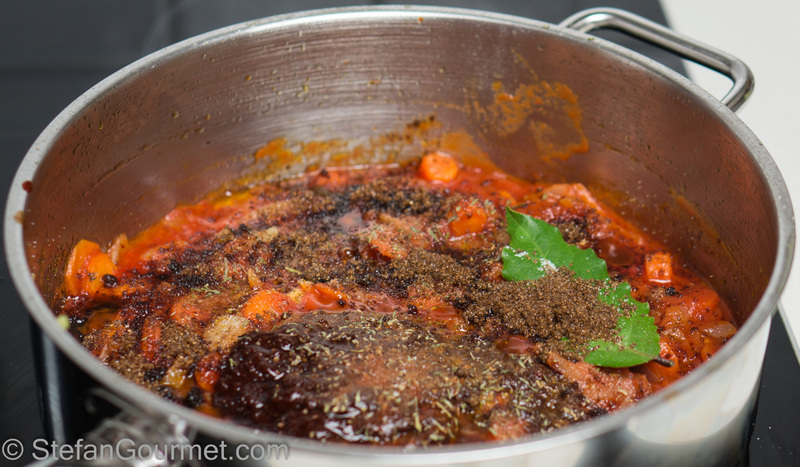 Add more of the chile cooking liquid and scrape down the sides as needed. Heat the oil in a frying pan. 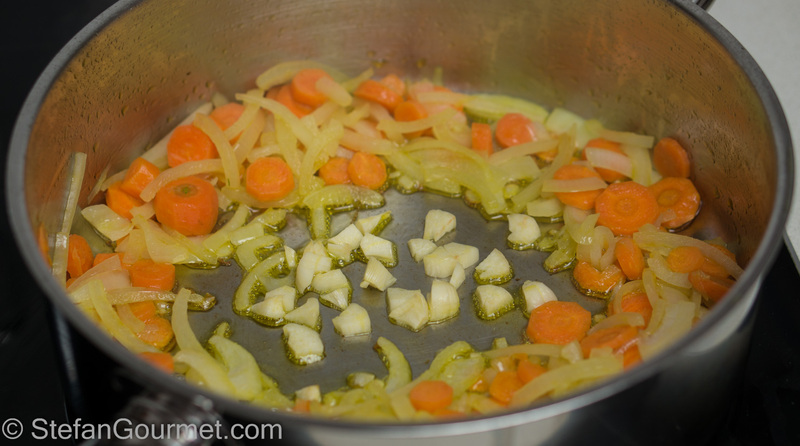 Add the onions and carrots and cook over medium heat until the onions are translucent. …and the sugar, marjoram, thyme, salt and sugar. Stir to incorporate. 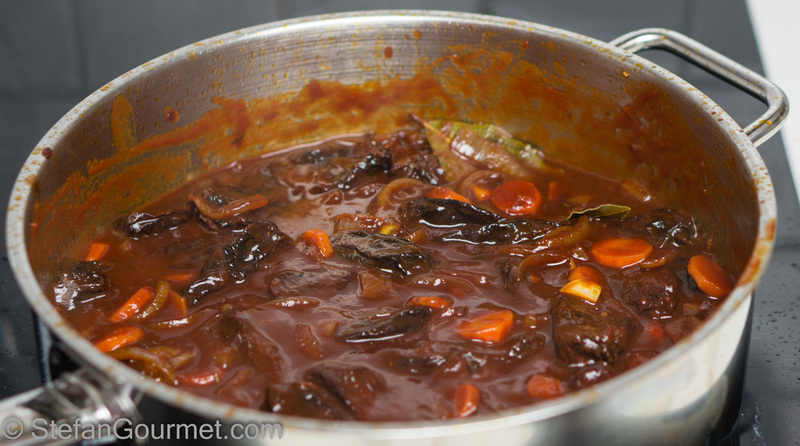 Bring to a boil and cook over medium heat, stirring, until the sauce has thickened, about 5 minutes. Drain the chipotles and add them to the sauce. 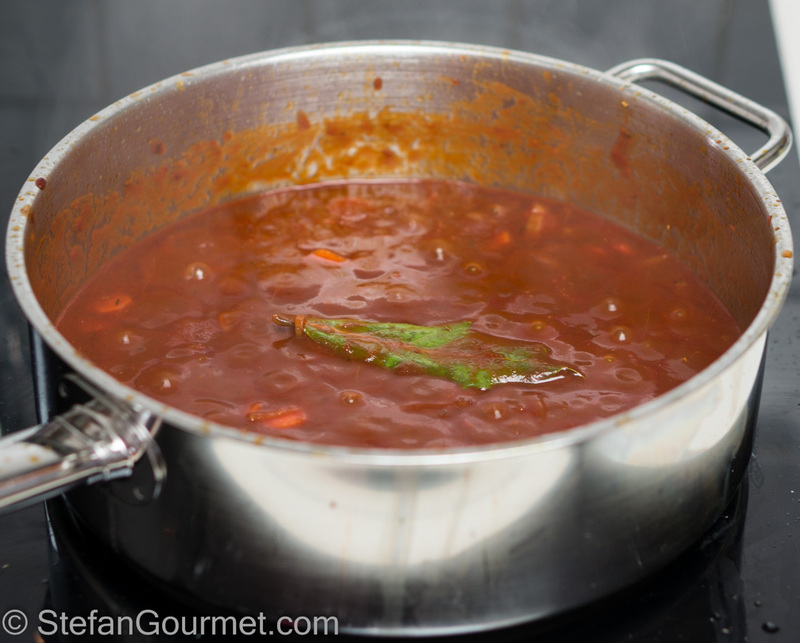 Stir and cook for another 5 minutes over low heat until the chipotles are tender and the sauce is nice and thick. Taste and adjust the seasoning with salt. 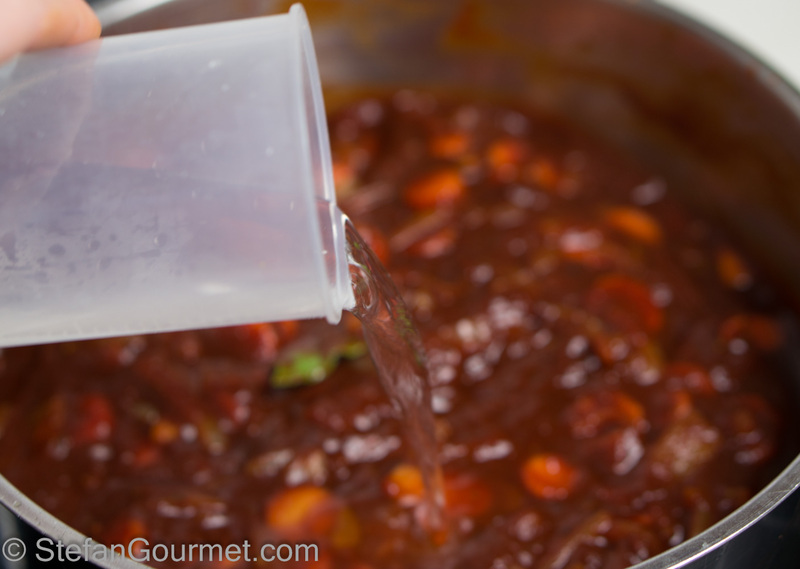 Transfer to jars when still hot, and allow to cool in the jars standing on the lid (so the hot sauce will sterilize the lids). Store in the refrigerator. 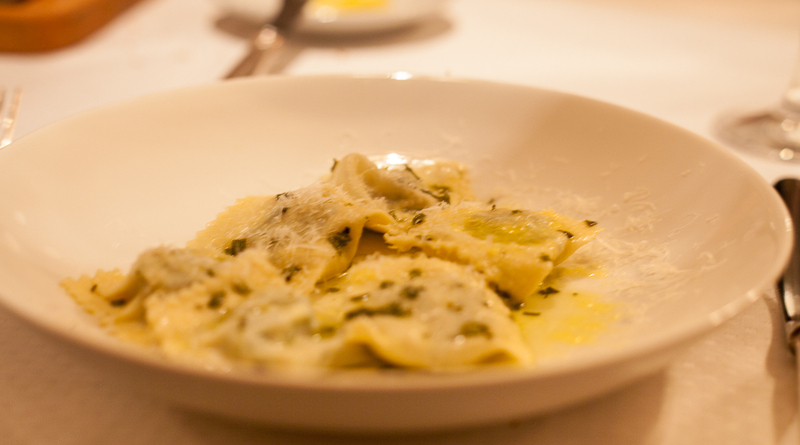 These Bartolini-inspired ravioli stuffed with pork, veal, spinach, ricotta, pecorino, nutmeg, and lemon zest are delicious and I will make them again soon. I love chipotles in adobe sauce. The smoky flavor is unparalleled. However, the canned ones have some dicey ingredients, like soybean oil! These look natural, fresh and flavorful. Impressive recipe! Buono …. da restare a bocca aperta! I love chipotles in adobo sauce too! What a great idea to think to make them from scratch. Thank you so much for sharing your recipe! 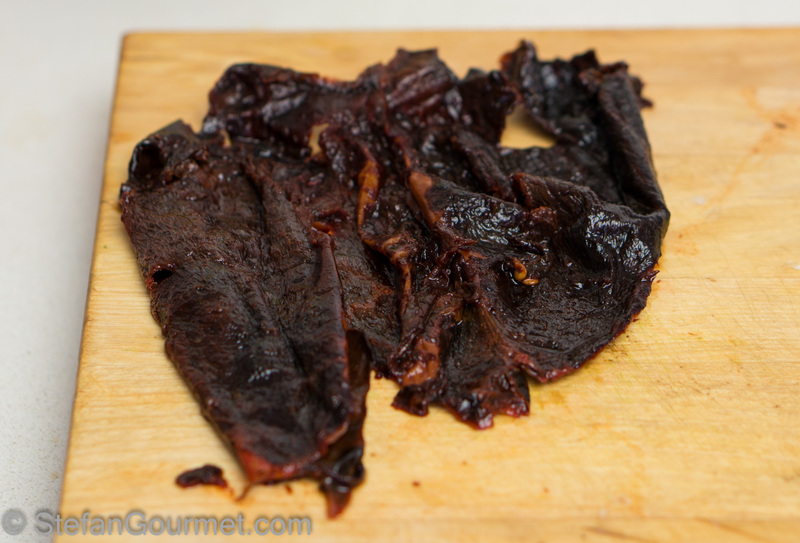 I just have to pass this along–chipotle peppers are something I use rather often. I think this will beat the tinned ones from the supermarket. 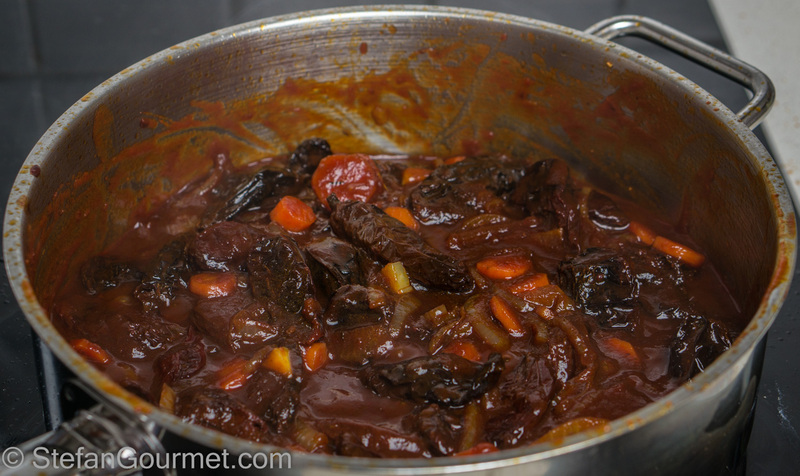 I am very excited about this recipe! Chipotles are also my favorite and I’m thrilled to find a recipe that includes such fresh ingredients! Wonderful! I actually thought you had started with fresh jalapenos, so I was really intrigued! Yeah, that would have been even more ‘from scratch’. Not sure if my homemade homemade chipotles would be better than store-bought, as I lack the proper equipment. Really wonderful recipe and Shanna brings up a good point about certain ingredients that show up in the canned version that are unnecessary. Thanks for sharing your recipe and process! 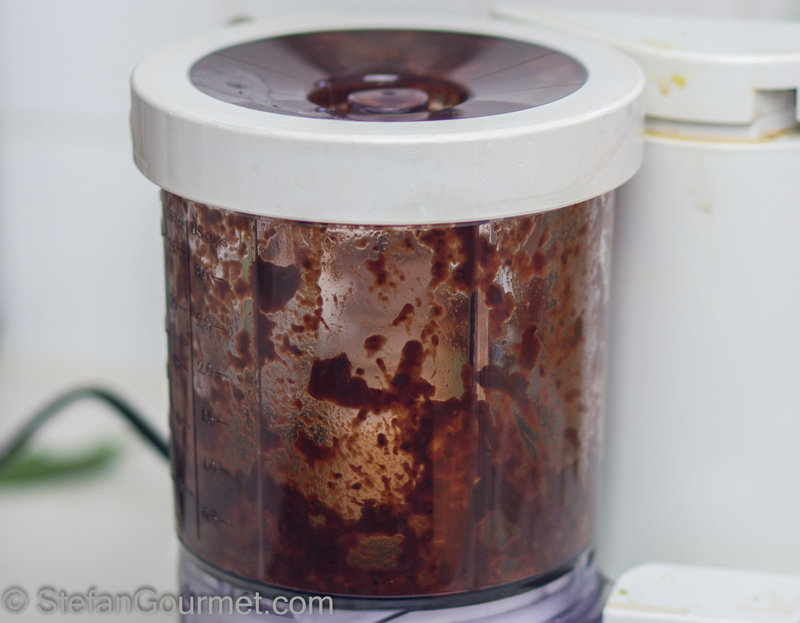 This is excellent timing since I have both dried ancho and chipotle. I note you stem and deseed the ancho. 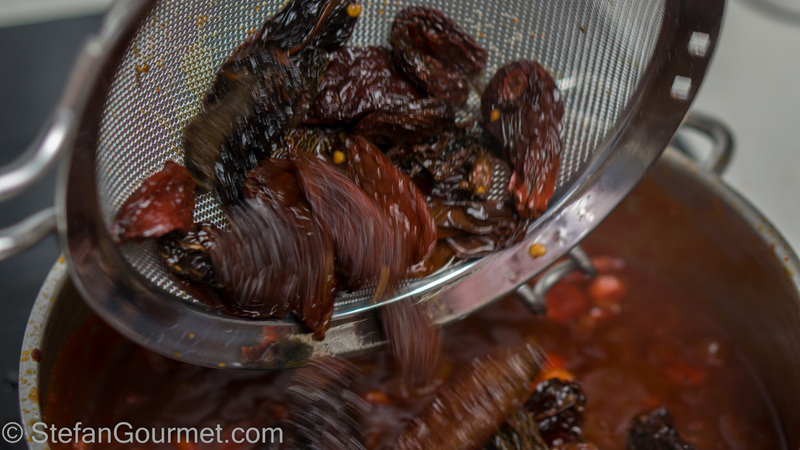 Are the chipotle chiles used whole – or do you also deseed them before adding to the sauce? I apologize if I have missed something. We love Pati and have made several of her recipes. You need to try her impossible choco flan. You will like it. I made these yesterday following her recipe. They have great depth of flavor and are exceptionally tasty; however, I’m not sure I like the amount of sugar in the recipe and may cut back on it the next time. I also don’t like that she cooks the chipotles separate and discards the flavorful liquid. 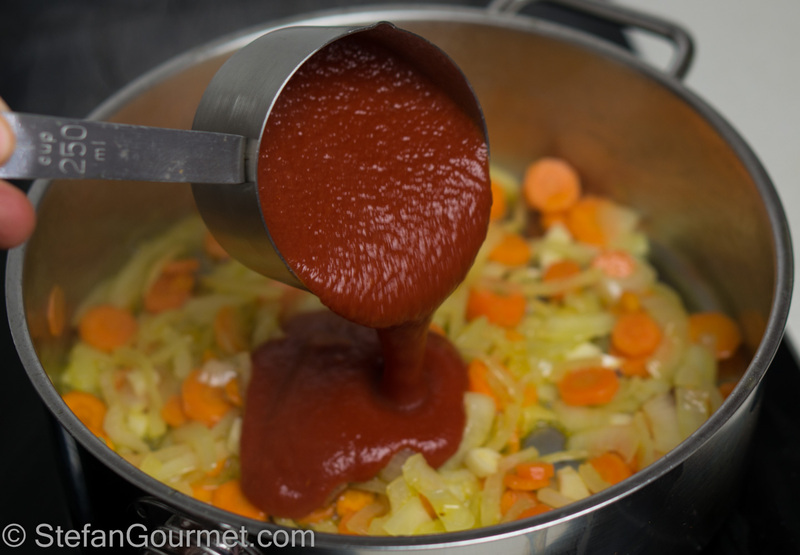 The chipotle liquid should be cooked down used with the tomato, ancho chile puree which is what we did. The chipotle liquid is just too good to discard. Now, I need to try your pork shoulder sous vide with chipotles and mushrooms. 🙂 I’ll let you know what we think. I did use part of the chipotle liquid, but not all of it. I will next time! The recipe sounds great so I’m sure we will like it. It also gives me a chance to try out the Anova. 😀 have you tried the Anova iPhone app yet? I downloaded it and am planning on trying it soon. Did you use morita or chipotle mora. Looks like chipotle mora, not as spoicy as morita? As far as I know, morita and mora are used interchangeably for the same type of chipotle. The other type is grey in color, called meco, and is smoked longer than morita. I am not aware of any difference in heat level.